fresh ways to deck the halls. 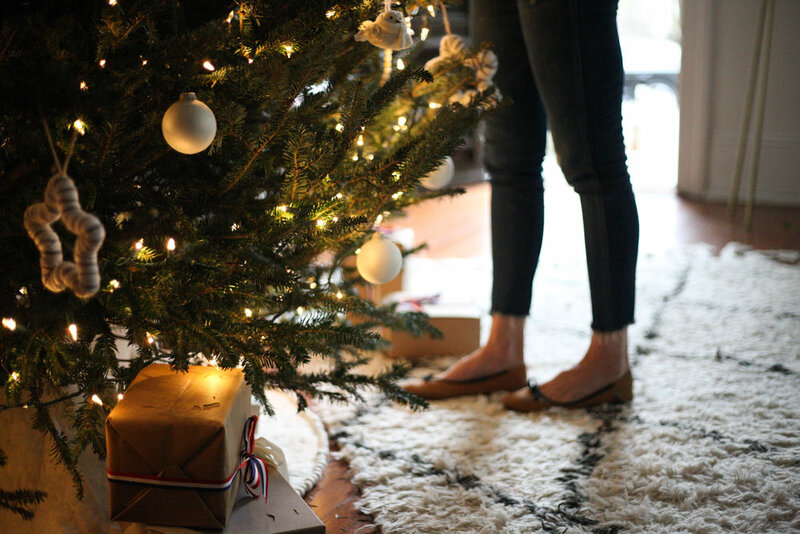 There's nothing quite like decking the halls for the holidays, is there? From picking the perfect tree to dressing it with the littles, holiday cheer brings as much joy as presents on Christmas morning. And, while this time of year often flashes by in the blink of an eye, decorating helps extend the joy and tree smells for just a little while longer. After all, it's those little memories that spark nostalgia year after year. 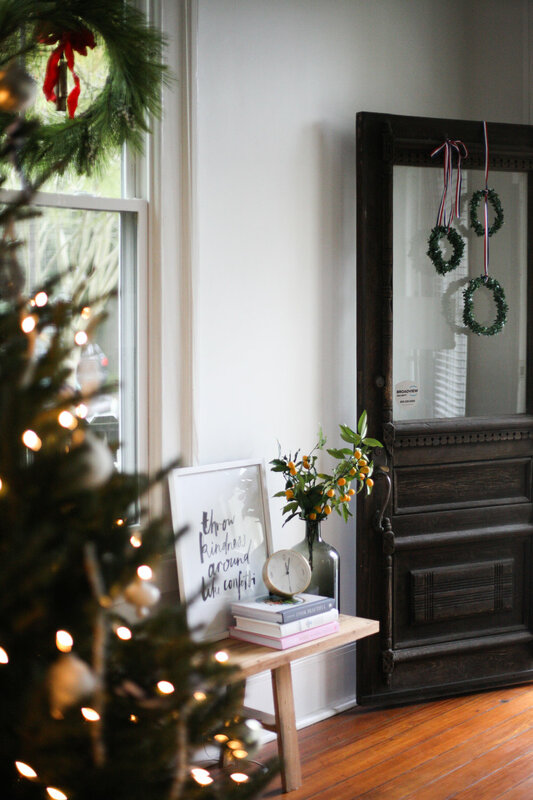 It's about creating an environment that's a holiday extension of the home. Here, cozy textures and warm tones are at the forefront with plenty of holiday details sprinkled in unexpected ways. set a cozy, photo-ready scene. 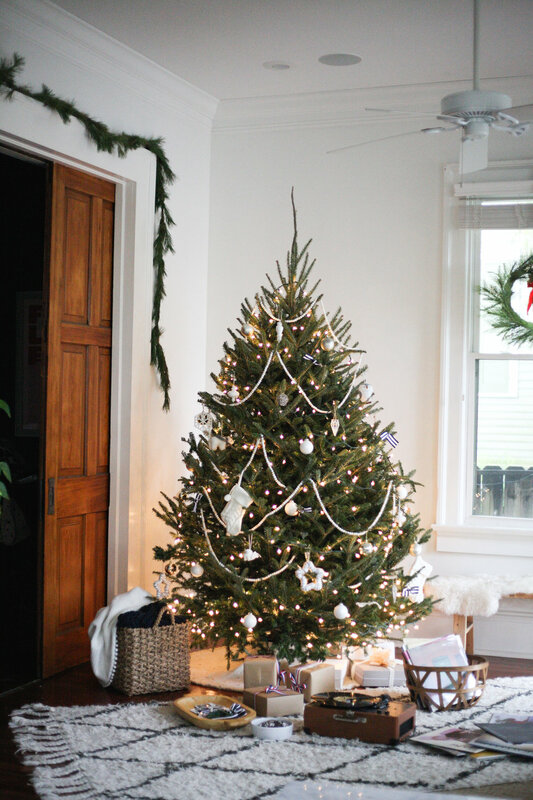 The Christmas tree will be the backdrop for most, if not all, holiday photos. 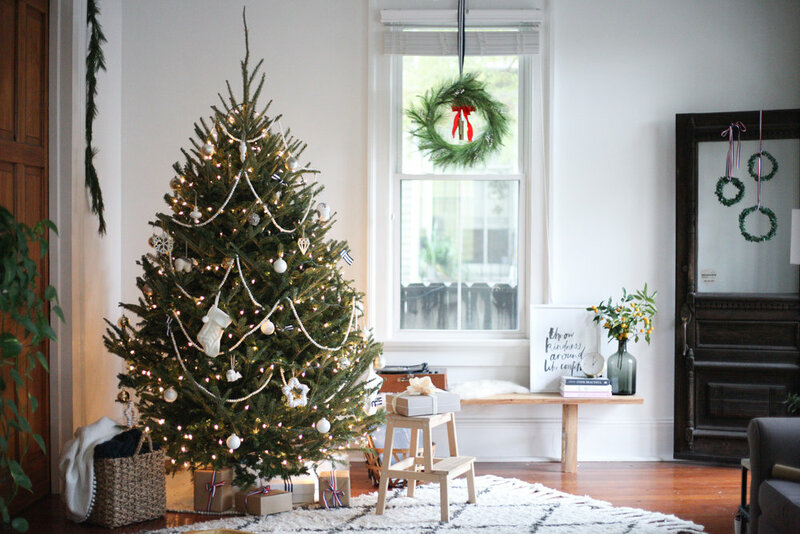 Create a cozy scene by layering rugs and poufs around the tree to make it ready for photo-ops. Natural woods and monotone ornaments keep the tree simple, while leathers and red and blue ribbon create a fresh holiday scene. Have Instax or Polaroid photos lying around? Pool them into a rustic bowl with a mini-wreath for visitors to thumb through. cluster wreaths on the front door. Break out the stash of records, and let them take center stage for family and friends. 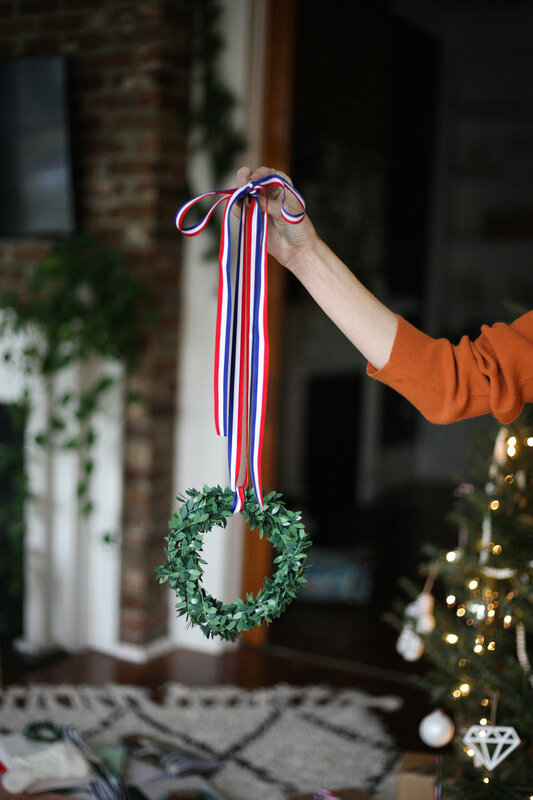 *See how we created the cluster of mini wreaths.